In the past number of years I have done fieldwork for several grassland bird projects from SOVON. 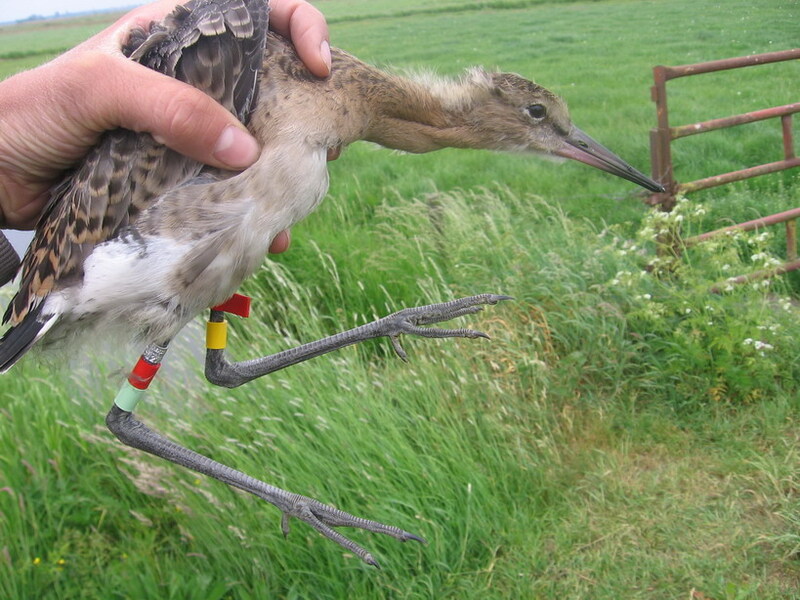 In the last study in the context of The Netherlands Black-tailed Gotwit land, Black-tailed Gotwits were ringed too. By means of a transmitter on the young and/or the adult bird, the survival of the young and the land usage is covered in great detail. A combination of four colour rings and a red flag. The metal ring is not part of the code and can be part of the upper - or lower walking leg. 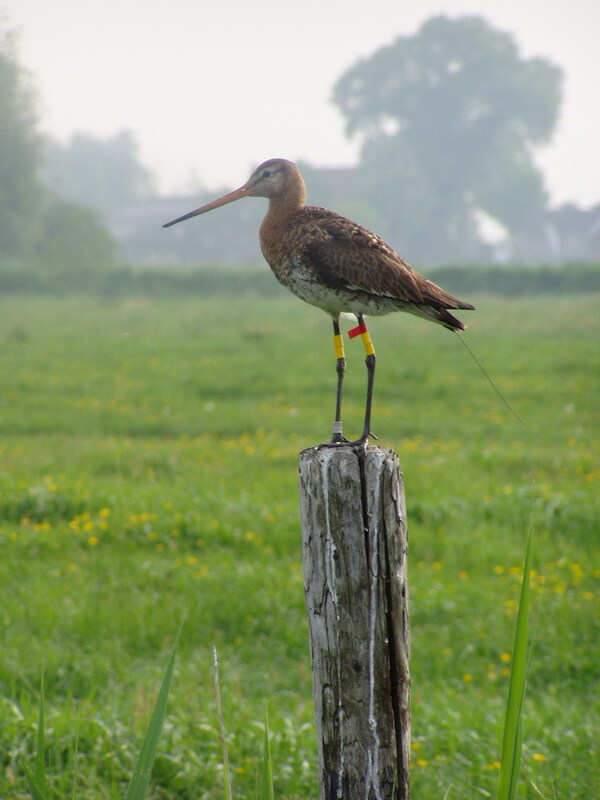 Observations of all colour ringed Black-tailed Gotwit in the Netherlands can be sent to Jos Hooijmeijer. Young Black-tailed Gotwit. Arkemheenpolder 2008. © Frank Majoor. Transmitted Black-tailed Gotwit. Maatpolder 2006. © Frank Majoor.